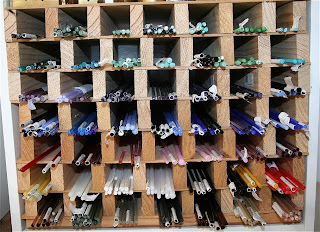 Of course the most important thing in lampworking after the torch is probably the glass. 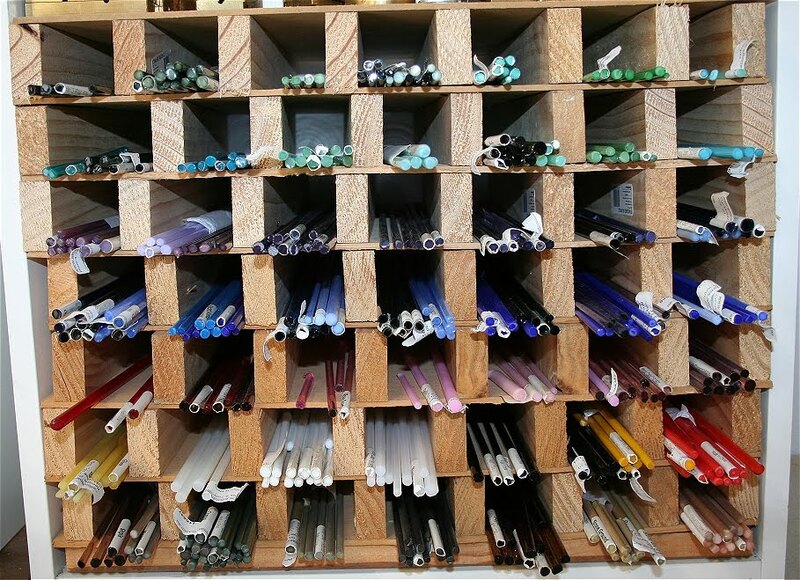 Glass comes in the form of rods which is basically a "stick" of glass (like a pencil or a straw)about 30cm long & anywhere from a couple of millimetres up to about 15mm thick. I use what is called "soft glass" or "soda lime glass" as compared to things like pyrex which is borosilicate & very hard to melt. Soft or soda lime glass contains soda, lime & other elements as well as silica & is used for many things like windows & bottles & of course making beads. 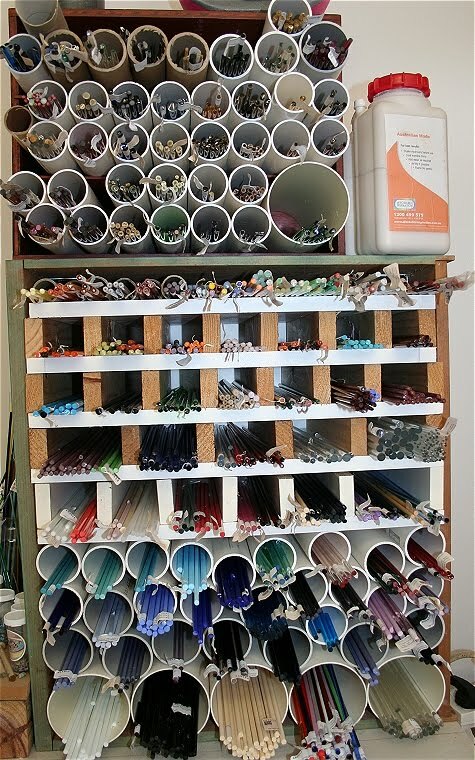 Here is my collection of glass (although I have to admit, it has grown even further since this pic was taken), glass ranges in price from $10 to $100+ per pound depending on what sort of glass it is & whether it has inclusions like silver or gold in it. I have my glass sorted by manufacturer, my silver glass (the most expensive glass) is in the top section (round holes) of the first pic. Tomorrow I will show you the trick of how we get the hole through the middle of the bead :) .